I am an advocate for improving the quality of conversation in our lives and the creator of the Gurteen Knowledge Café – a powerful conversational tool for bringing people together to have meaningful conversations. I am an advisor, speaker and facilitator in the fields of Knowledge Management, Organizational Learning and Conversational Leadership. I regularly gives keynote talks, run workshops and Gurteen Knowledge Cafes around the world. 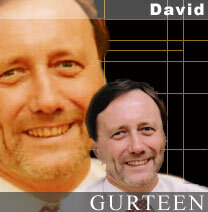 I am also the founder of the Gurteen Knowledge Community – a global network of more than 22,000 people in over 160 countries whose purpose is to connect its members with like-minded people, new ideas, and alternative ways of working. Members receive my free monthly Knowledge-Letter that is now in its 16th year. I curate Gurteen Knowledge – a resource website that contains book reviews, articles, people profiles, event calendars, inspirational quotations, an integral blog and much more on subjects that include knowledge management, informal learning, creativity and innovation. I am an avid networker and user of social tools. I am connected to over 9,000 people on LinkedIn and have over 10,000 followers on Twitter. I tweet most days. I also facilitate a LinkedIn discussion forum for my community that has over 4,500 members.